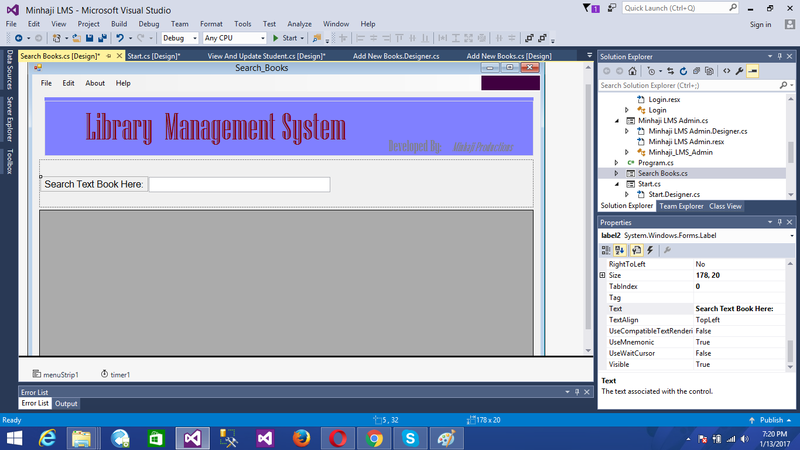 The project titled Library Management System is Library management software for monitoring and controlling the transactions in a library .The project “Library Management System” is developed in C#, which mainly focuses on basic operations in a library like adding new member, new books, and updating new information, searching books and members and facility to borrow and return books.“Library Management System” is a windows application written for 64-bit Windows operating systems, designed to help users maintain and organize library.Our software is easy to use for both beginners and advanced users. 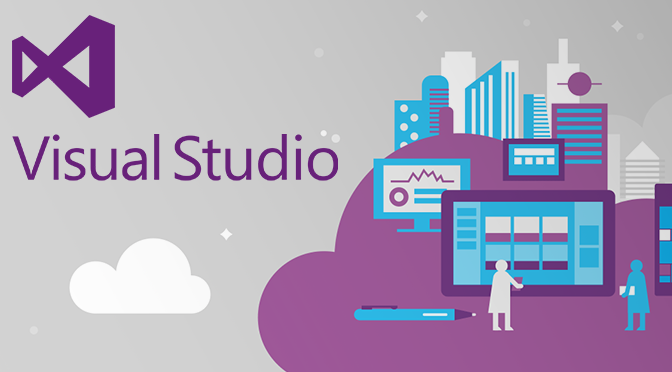 It features a familiar and well thought-out, an attractive user interface, combined with strong searching Insertion and reporting capabilities. The report generation facility of library system helps to get a good idea of which are the books borrowed by the members, makes users possible to generate reports’ hard copy. 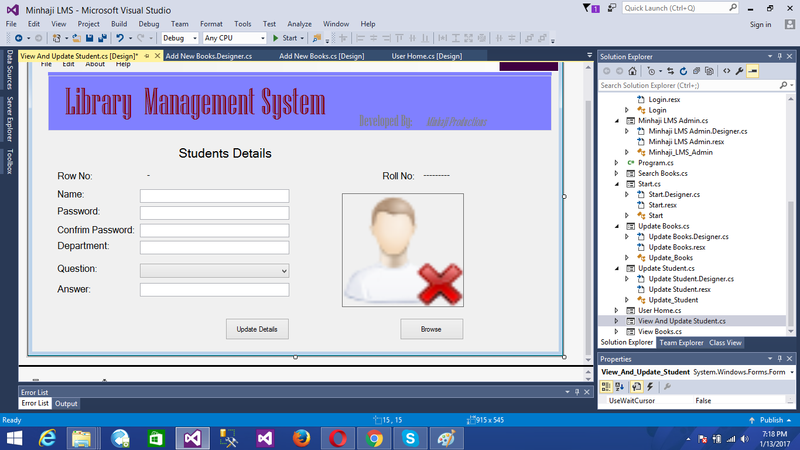 The software Library Management System has four main modules. 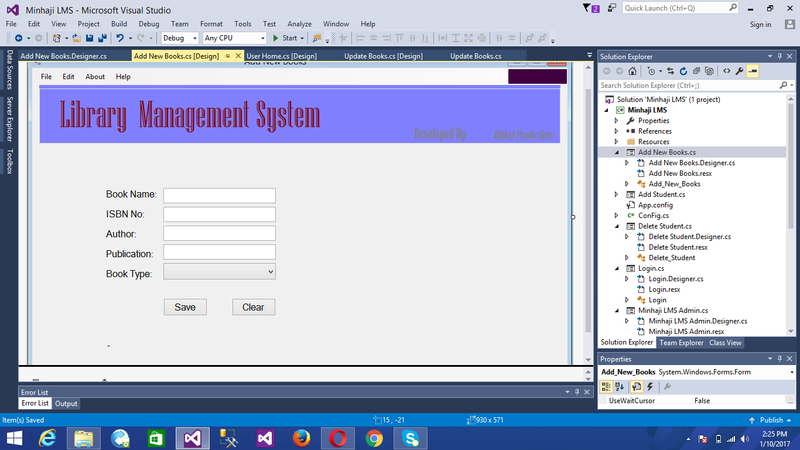 Insertion to Database Module – User friendly input screen. 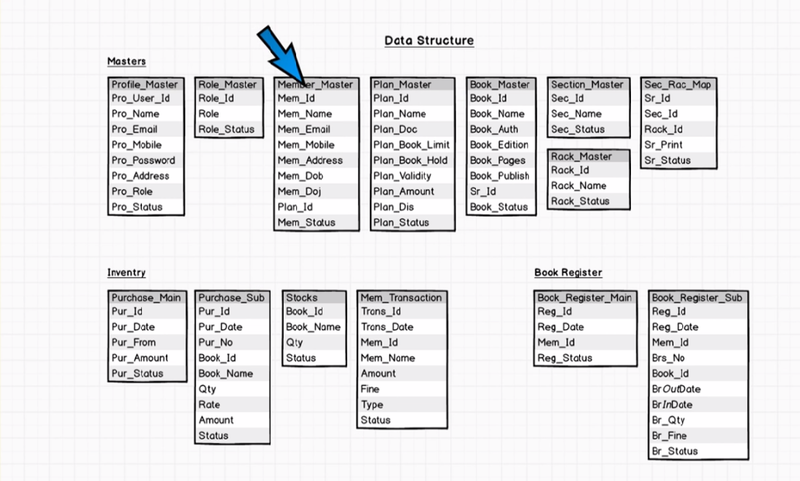 Extracting from Database module – Attractive Output Screen. Report Generation module – borrowed book list & Available book list. Search Facility system – search for books and members.